Armchair quarterbacks have been quick to charge Toyota with losing its engineering nerve, labeling it a brand content to churn out safe, middle-of-the-road milquetoast offerings for every segment in which it competes. Admittedly, this isn't the same company that once marketed a supercharged, mid-engined, rear-wheel-drive minivan shaped like a suppository, nor is it the same company that sold homologated rally specials alongside its workaday iron. But to say that there are no bold spirits in Toyota City just ain't so – just look at the bonkers LFA supercar, for goodness' sake. 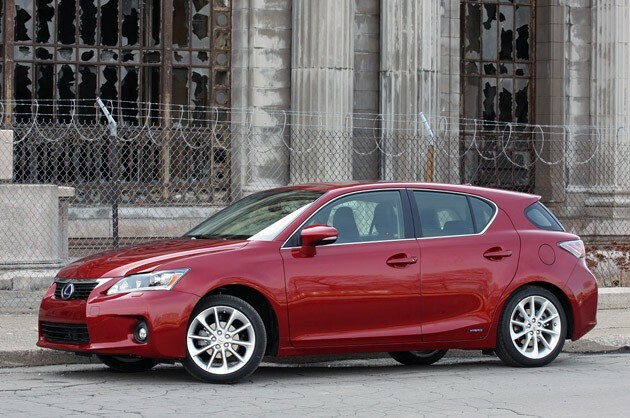 But you needn't have a millionaire's bankbook to see that the Japanese automaker still has cheek to spare – just check out the 2011 Lexus CT 200h. Not only is Toyota's premium marque dipping its toes into America's compact luxury market – a segment that nobody but Mini has figured out how to make big dollars on – it's doing so with a hybrid, an expensive powertrain configuration that, Prius aside, only sells in marginal volumes. Admittedly, Lexus has made no bones about the fact that it's squarely targeting Europe with the CT (a market where hatchbacks consistently do big business and "small premium" is not an oxymoron), but make no mistake, this is a brave bet. Lexus says it's gunning for 1,000 units a month – a small number in the grand scheme of things – but it's expecting the moon when compared to competitors like the Audi A3, BMW 1 Series and Volvo C30, which typically sell in the hundreds per month. Yet this bold bet is showing early signs of paying off. 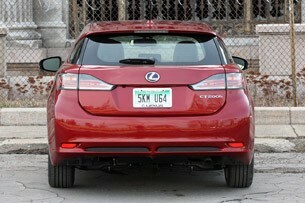 Thanks in part to heavy advanced marketing, Lexus cleared its decks of over twice that many units in March – 2,199 – the CT's first month on sale. 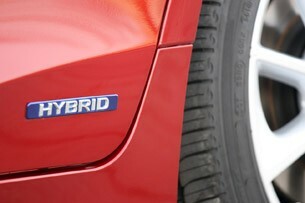 "Toyota" and "hybrid" may go together like Starbucks and Apple, but adding a meaningful dose of driving entertainment to the gas-electric formula has proven to be elusive. Despite this, the CT aspires to a higher level of driver engagement, with the Japanese automaker's marketing efforts touting a sporty, youthful experience. 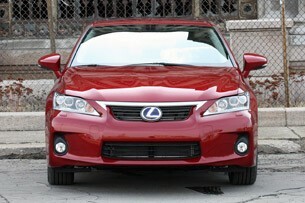 In short, with the CT, Lexus is suggesting it isn't ready to throw in the organic cotton towel on performance just yet. 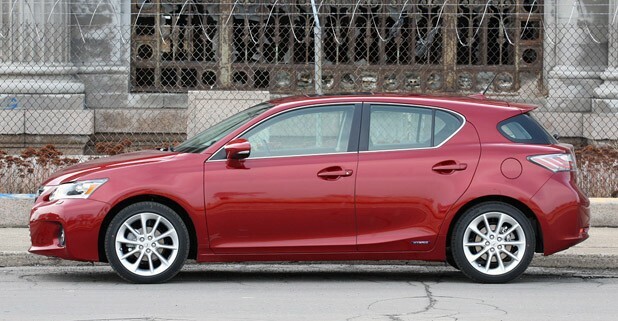 Looking a bit like a premiumized Mazda3, the CT is certainly more aggressive and visually appealing than Lexus' other stand-alone hybrid model, the hapless HS 250h. 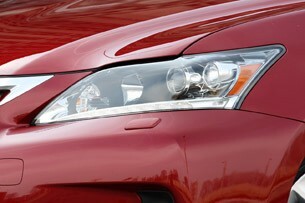 Combining a broad stance with an assertive lower fascia that effectively masks a long front overhang, Lexus' least costly offering (hybrid or otherwise) looks smart, with a visage livened up by LED eyeliners and a thin fillet of chrome bridging the grill. The profile is pure hatchback, with a high beltline, tapering greenhouse, attractive 17-inch alloys and a dynamic C-pillar that artfully segues into a small rear spoiler over the narrow band of rear glass. There isn't a single element here that stands out as earth-shattering design, but the whole package gels nicely into a form that is at once attractive, utile and wind-cheating, with a drag coefficient of 0.29. From the off, the interior outs itself as a tech-rich experience, with the instrument panel in our tester topped off by an available motorized sat-nav screen and a broad center console between the seats that houses everything from the oddly sculptural chrome drive selector to the stereo controls and a rotary drive mode selector. Everything within reach is nicely padded and grained, with fluid actions to all of the major controls. The trio of analog gauges are concise and handsomely backlit, and the leather-wrapped wheel is right-sized, although the three spokes seem annoyingly and needlessly thick. Optional leather chairs cosset and support in equal measure (convincing synthetic hides are standard), and the close-to-the-floor seating position quietly reinforces the CT's sporting intent. Rear seat ingress and egress is a bit tight, and adults won't want to ride back there forever, but it's just fine for around-town duty. 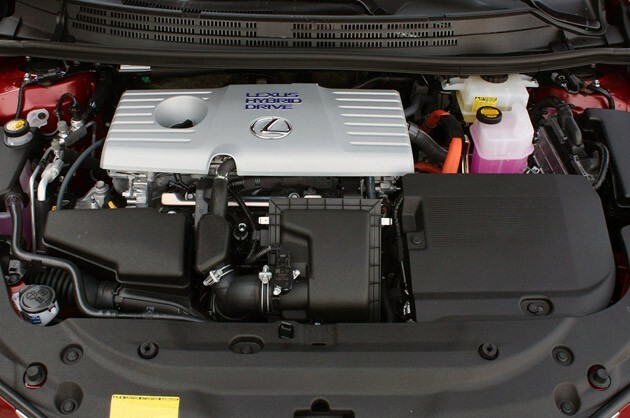 As with nearly every hybrid we can think of, cargo room takes a hit thanks to the encroaching 168-cell battery pack, but it's still not bad, offering 14.3 cubic feet with the seats up. 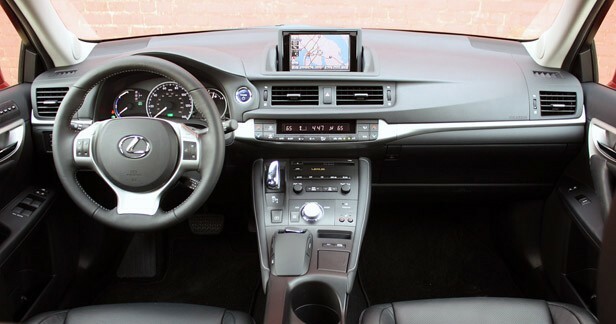 Our tester's optional hard drive-based navigation system utilizes the same unusual Remote Touch haptic-feedback 'mouse' system that we've experienced on other Lexus vehicles like the RX and HS. While getting used to its button arrangement takes some time, it's intuitive enough to use that you won't find yourself reaching into the glove box in search of the instruction manual. It would be nice if Lexus still bundled Remote Touch with their touchscreen expertise as a supplementary way to interact with the system, but that isn't part of the program. Additionally, we'd still like to see hard buttons for the stereo presets for improved ease-of-use. As you'd expect, there's also plenty of tech underhood, where a 98-horsepower 1.8-liter Atkinson-cycle four-cylinder is augmented by an electric motor whirring up 80 more ponies and 152 pound-feet of torque with juice from a Ni-MH battery. Combined system output is rated at 134 horsepower, certainly an adequate sum to pull around the CT's 3,100+ pound frame, but nothing to cinch up your Pilotis over. 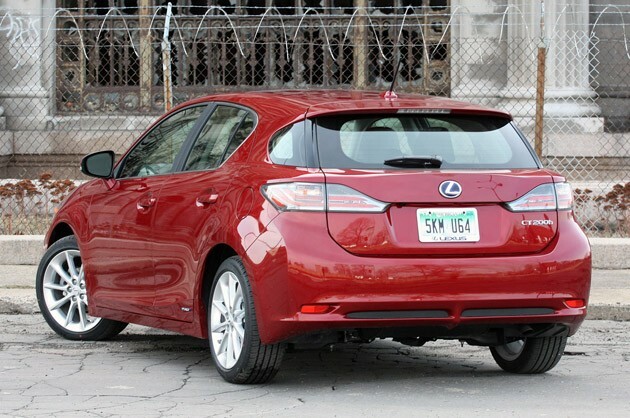 Lexus quotes a leisurely 0-60 mph time of 9.8 seconds and a top whack of 113 mph. 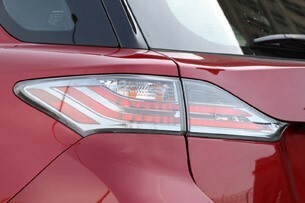 Yet Lexus plainly promises a sporty driving experience with a European flair... what gives? Back to the drive mode controller. Lexus' intent to appeal to Continental buyers is evident throughout the CT, from its footprint and body style to its driving dynamics (the brand remains a niche player, but parent Toyota has big aspirations). An integral part of Lexus' play to appeal to Europe is a sportier driving experience, and to that end, they're making a big to-do about the three-position rotary knob. Utilizing a trio of drive modes (Normal, Eco and Sport), everything from the throttle mapping to the power steering weight to the stability and traction control systems is influenced in the name of enthusiastic or parsimonious driving. Moving from Normal to Sport mode won't actually make the CT any faster, but it does open the drivetrain's taps earlier, firms up steering effort and give a bit more leeway before the electronic nannies dig their heels in and curb your fun on a winding road. As we show you in the Short Cuts video below, the drive mode selector brings with it some well-done visual changes in the gauge cluster, and it does make it more fun to drive, with the whole experience coming off as slightly quicker than it actually is. Still, given this front-driver's athletic intentions, we're curious as to why Lexus didn't go the extra mile by fitting paddle shifters. We've experienced plenty of similar setups paired with continuously variable transmission units like that of the CT, and they add a needed dollop of driver involvement. Eco mode, as you might expect, will only be entertaining to those who find joy in hypermiling their lawnmower and composting their own table scraps. The throttle response is just too torpid, the steering is finger-light and we didn't notice a huge improvement in fuel economy. Finally, there's a pure EV Mode button adjacent to the jog drive mode selector, and pushing it will give you around a mile of electric-only propulsion. If there's a clear forte in the CT's portfolio, it's the well-sorted handling. 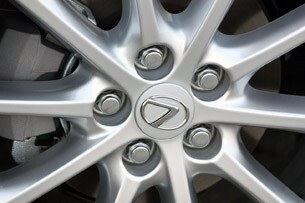 Combining a conventional MacPherson strut architecture up front with a double wishbone array in the rear is a good start, and Lexus has gone a step further with unusual lateral dampers front and rear that reduce vibrations, in turn delivering improved steering feel from the quick electric rack-and-pinion setup (just 2.7 turns lock-to-lock). Lexus says the costlier damper system is more effective than using conventional shock tower braces, and they may have a point – the CT tracks faithfully and grips with a conviction not generally found with low rolling-resistance tires. Ride quality is much firmer than we've come to expect from Lexus, but not objectionably so – even on Detroit's post-apocalyptic road surfaces. Brake progression and pedal feel issued by the discs (10-inch vented in front, 11-inch solid out back) is good by hybrid standards, though at very low speeds – say, 0-3 mph when you're negotiating a tight parking space – it's got a bit of the binary 'on/off' nonlinearity that plagues other regenerative braking system. Even so, you'll have more fun staying off the binders and trying to preserve momentum wherever you can. Lexus' latest isn't perfect, but we think Toyota is onto something here, if for no other reason that it's better to drive than most everything else the marque offers, and helps that it's the cheapest way to park an L-badge in your driveway. The CT 200h is handsome, well screwed together, and while it doesn't shout about it, it's one of Toyota's boldest offerings in years.